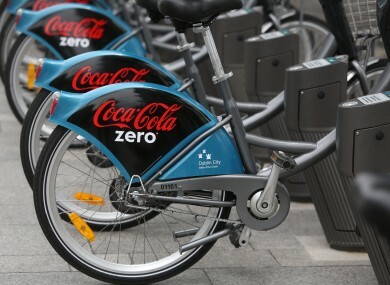 DUBLIN COUNCIL HAS said that a new stationless bike scheme to be launched in the city does not have its consent to operate, and has warned the public that they will be using the service at their own risk. Dublin City Council said that it understands that the stationless bike sharing app BleeperBike intends to launch its service this weekend. Bleeperbike is a shared bike service similar to ones in other countries. Users download an App onto their phone and use that to find and hire bikes across the city. Users are charged per journey, and can leave the bike in a safe area for the next user (without having to return it to a designated station). The company has had a social media presence on Twitter and Facebook since earlier this month. According to its Facebook description, it is set to launch in Dublin in July, 2017. In its statement, the council said that it was agreed in the May meeting of the Transportation Special Policy Committee that Bye-Laws to do with stationless bikes had to be developed. It also said that a pilot scheme into the service also needed to be run. “As bike share schemes provide a public service, operate within the city’s streets and make use of the city’s public realm, it is considered that regulation of the schemes through Bye-Laws is necessary,” DCC said. The main issues to be addressed include managing the potential impacts of the scheme on the public realm, ensuring the bikes are fit for purpose and properly maintained, insurance, ensuring there is adequate cycle parking capacity in city centre locations and ensuring bikes are not abandoned at unsuitable locations. It said that the Bye-Laws would likely require that any potential operators of stationless bikes would need to apply for a licence. It said that the Bleeperbike launch was “premature pending the preparation of Bye-Laws”. The council also said that it will have the power remove the bikes from the public domain as they are unlicensed and advertising the service they provide. “It is an offence under Section 71 of the Roads Act 1993 to place unlicensed items in the public footpath/roadway,” the council said. Dublin City Council is empowered under Section 71 to remove unlicensed items on the footpath/roadway without further notice. DCC said that it believes the service will launch this weekend. It said it had written to the service telling them not to launch or distribute its bikes around the city. “Should Bleeperbike ignore this request, members of the public are advised that they use the scheme at their own risk,” the council said. TheJournal.ie has contacted Bleeperbike for comment. Poll: Do you ever cycle? Email “Council says new 'stationless bike' company does not have permission to operate in Dublin”. Feedback on “Council says new 'stationless bike' company does not have permission to operate in Dublin”.